The Bundle of joy when this came in the post a couple of weeks ago just in time for IMATS in London. Just a little brief ( I was meant to be going to the IMATS in London this year but something came up and I will be attending next year). 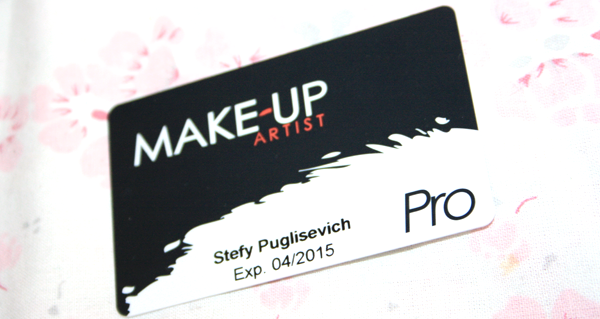 MakeupMag Pro Card As some of you may know, I am a qualified Makeup Artist and I have wanted to go to IMATS for exactly 3 years and I am honestly really bummed that this card is here and I cannot attend. I applied for this card twice and second time around my application got accepted within a couple of days. I love how this little card can open so many doors for me as an Makeup Artist as it offers some great discounts on the website itself www.makeupmag.com, other stores and of course discounts at IMATS and special passes. With this expiring in April 2015 I can attend next years events and Will have to reapply for London 2015 by the looks of it as it falls in June. I am really looking forward to Next Year as I know there is IMATS IN LA in January which falls just a week and a half after my birthday so if i save up enough it would be on the "birthday wishlist" and if not i will gladly wait till June for IMATS in London! Will you be going to IMATS in London? HAVE YOU BEEN TO IMATS?